Cities are home to an increasing number of transportation options that are changing how we get around. While these modes aren’t necessarily new, their increasing popularity is allowing for the rise of an interconnected transportation network that’s economical, healthy, and low-carbon. People like me have a complicated relationship with transportation. After explaining how I get around in a given week, I generally receive a puzzled look from the person I’m conversing with. While it’s true that a bike serves as my primary mode of transportation, I am truly multimodal and generally use a dozen transportation services to go about my business in Vancouver. 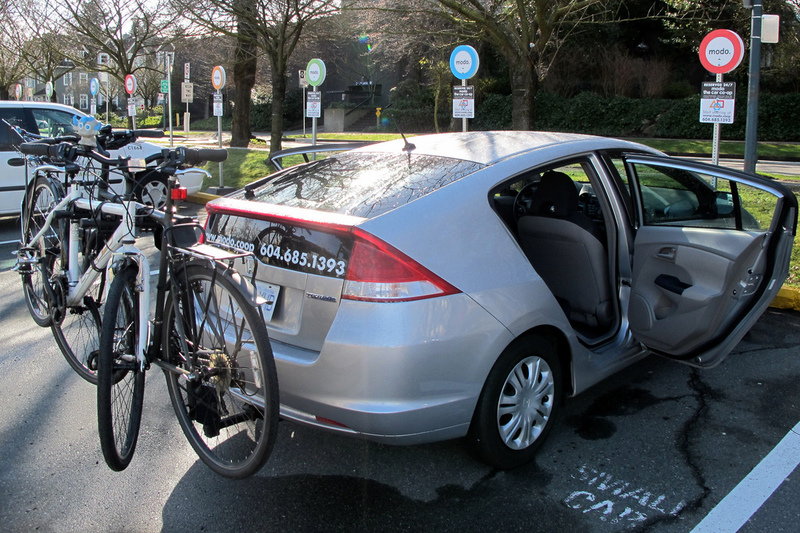 Metro Vancouver is home to bus, SkyTrain, SeaBus as well as four car sharing operators: Modo, Car2Go, Evo, and Zipcar. My household is a member of all four and we use each one for a different kind of trip—choice also depends on vehicle availability. While I don’t own a car, I occasionally travel with someone who does and I often share car share trips with other people I know (ie: for hiking trips outside of the city). Lastly, living in a compact, but non-downtown neighbourhood, my feet also get me around for a large number of trips. That’s 10 ways to get around: Walking, biking, three types of transit, four car sharing options, and car pooling. This abundance of transportation choice in a well-planned city makes it very convenient to go car-less. What’s more, there’s an increasing number of people in cities who, like me, are living a multimodal lifestyle. You could say we’ve reached a threshold where there are enough overlapping transport choices where it’s actually more convenient and more affordable to live without a personal auto. I wanted to better understand how I used transportation in the city and set out to record a 30-day trip diary starting in March. For transportation keeners, the Lower Mainland’s transportation authority, TransLink, puts out a great travel diary here that takes into account an enormous number of residents. To begin mine, I set a few basic ground rules to guide what I recorded: 1) Walking trips must be over 500 M in distance and do not include recreational walks (like jogging or hiking), 2) a trip is counted when a destination is reached (ie: home or work) or when it’s time to transition to a new mode (ie: bike to car share), and 3) travel outside the city doesn’t count. As I mentioned, it’s clear that cycling dominates my travel modes. Not only did I take the most trips on my bike, but I also covered the longest distance in total with this mode. I was also surprised at the low number of transit trips recorded—and the fact that my transit trip distances were so long. Given the small sample size for trips, it could have just been a weird month. 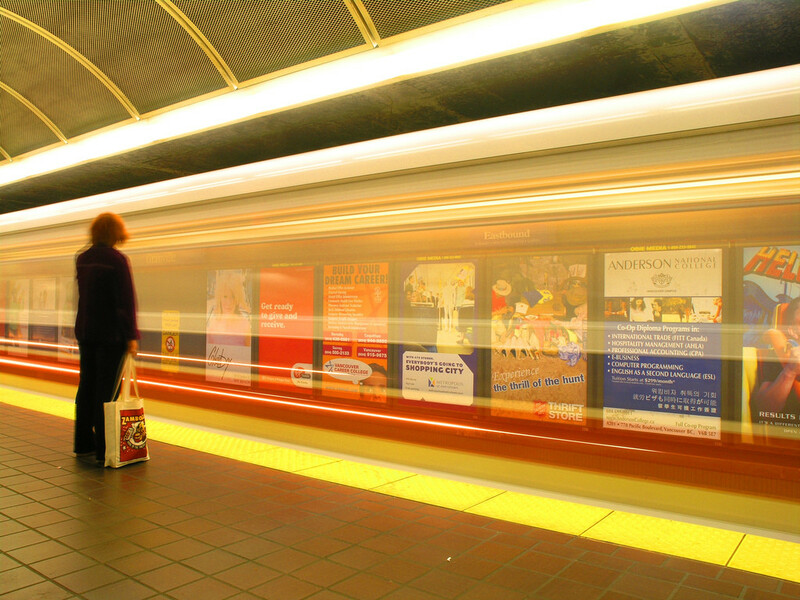 Some of those transit trips were between SFU Burnaby and downtown Vancouver or to the ferry. Still, it’s a trend: short trips – bike/walking, medium trips – car share/bus, and long trips – auto/SkyTrain. Here’s a breakdown of the percentage of trips taken by purpose. Most of my trips are work related. Note: “travel” trips are ones that get me to places for inter-city travel (ie: to the Ferry). Biking constitutes the majority of my work trips while other trip types use a mix of other modes. A full 14% of my trips (11/81) are what I classify as “intermodal”. 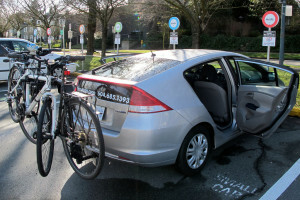 For example, when I need to bike to a car share vehicle or shift from a SkyTrain to bus connection. These intermodal trips were pretty long on average (over 19 KMs), which makes sense if you think about it. The longer the distance, the more likely it will take several modes to complete. An abundance of consumer choice in the personal transportation realm is transforming the lifestyles of how city-dwellers get around. This and the trend to transportation as a service, a means to an end, is allowing people like myself to go car-less. At any given minute I can choose the transport provider that offers the best balance of convenience, economy, and speed. The point of this post was to capture a small snapshot of multimodal behaviour. Recording this information over a longer period of time and capturing more detailed information would likely paint an even better picture of the complexities of how I move around. At the start of this post, I said that multimodal travel is economical, healthy, and low-carbon. Those are topics for another post, but I reckon that I spend $600 a year on urban transportation when the average household in Canada spends over $12,000 annually (on transportation as a whole). 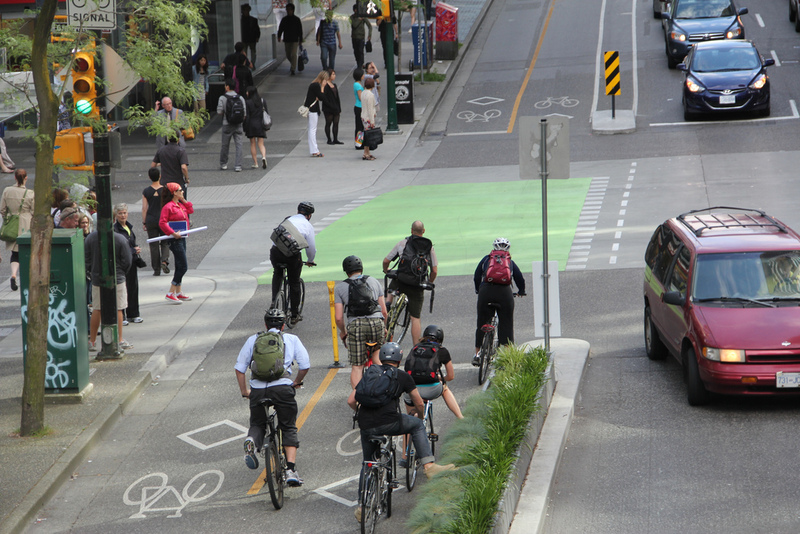 The health benefits of cycling, walking, and transit are well-documented and positively affect both private and social health outcomes. Further, even diesel buses can have 1/10th the carbon footprint of a single occupant vehicle and walking and cycling are effectively zero-emission. It’s a good way to get around. What’s next? 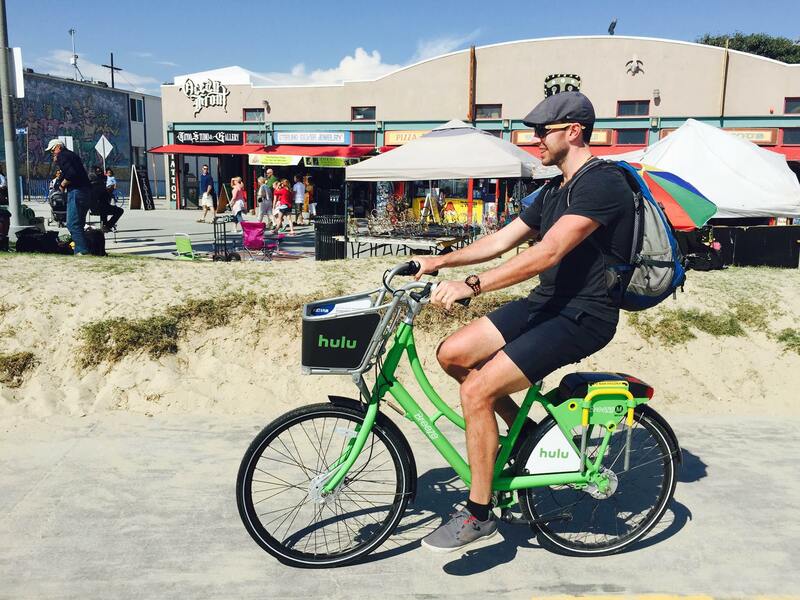 Uber, Lyft, and bike sharing are on their way! Next ArticleEnergy democracy: Where have citizens voted on renewable energy portfolio standards? Communications professional, based in Vancouver. Urban mobility and energy. Enjoys bikes, #EastVan, & the simple life.